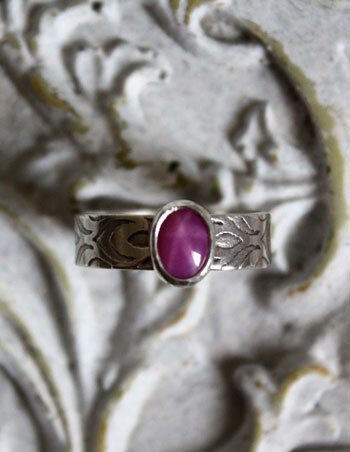 The star sapphire is corundum like other sapphires. However, it shows tiny rutilated inclusions provoking an optical effect called asterism. You can only see a star shape on the sapphire when you cut it. In general, this star has 6 rays, but there are certain stones showing 12 rays. You can find this property on all types of sapphires. Therefore, it is available in all the color varieties of this stone. You can also find the name of cat’s eye sapphire for this precious stone. 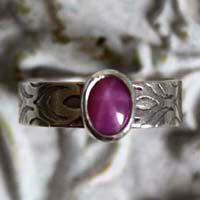 The star sapphire is generally seen as a protection, a talisman or a traveler’s guide. The star shape remindsof a protecting shield against evil. It also reminded people of a celestial star that would guide travelers. It would have the same properties than the sapphire but in a more intense way.